Alex Frings is a photographer and cinematographer located in Byron Bay, Australia. Strongly drawn to nature’s forces and landscapes, his specialty lies in ocean and surf photography; both above and below the surface. As a keen waterman with a background in design, and a self taught ability to read the ocean and surfer alike, Alex manages to find and capture split seconds, that are more often than not missed by the naked eye. His pure dedication to experiencing the visual magic of life keeps him glued to the viewfinder of his camera, rarely missing a sunrise or a sunset. It is the same dedication that has lead to the recognition of his work in numerous magazines and partnerships with many companies. Recently SLIDE magazine featured a stellar portfolio of his work. Lately Alex has been extending his reach to the realm of film making; a medium that perfectly lends itself to revealing his deep sensibilities and gentle nature. Watch his short piece titled “Early” here. If you would like to hire Alex, purchase his prints, license any of his photographs and/or video, say hello or ask him a question, you will find him here [email protected] or use the contact form. Photo by: Johnny Abegg. 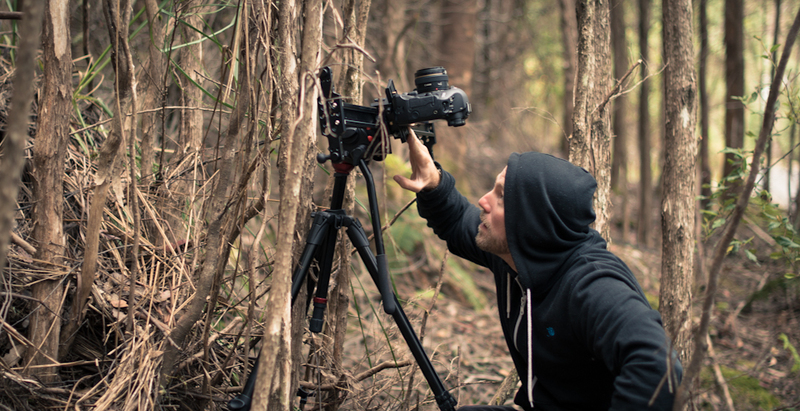 On location in Tasmania.